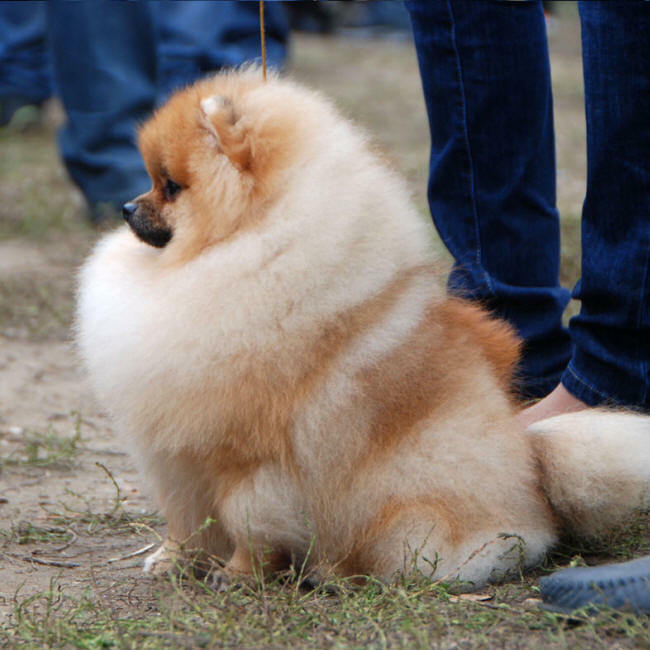 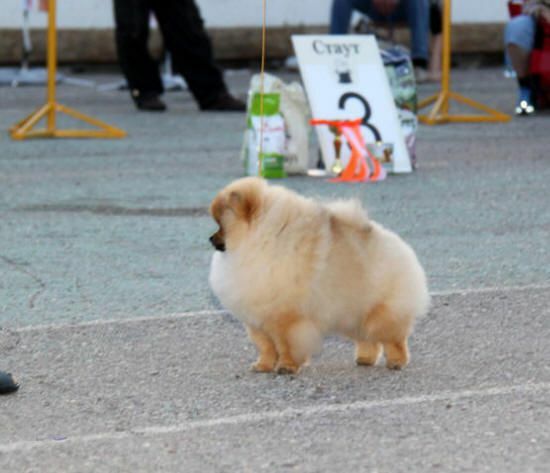 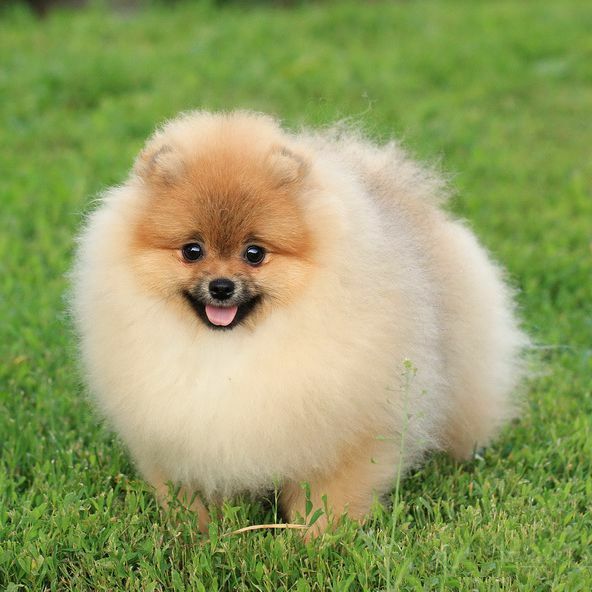 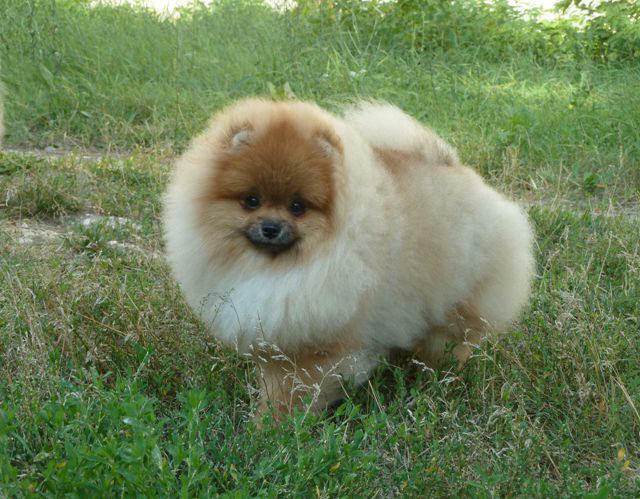 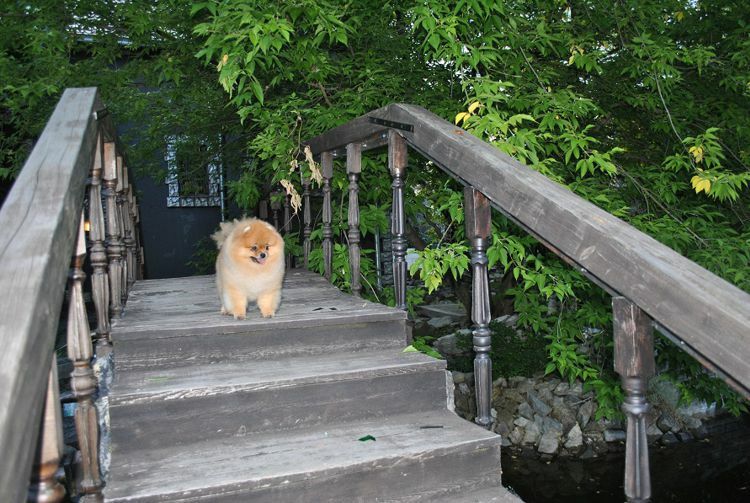 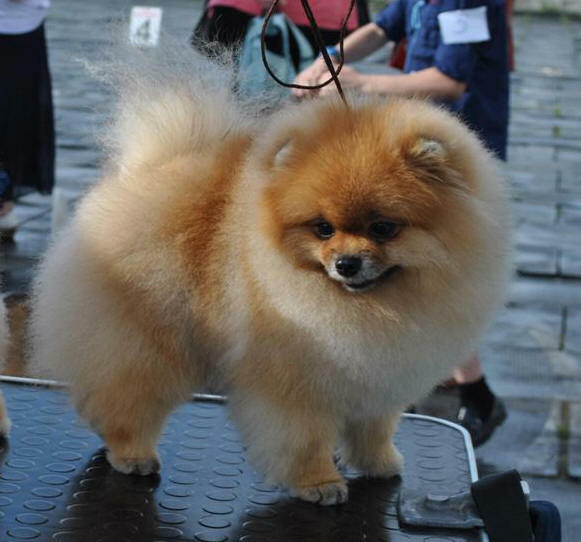 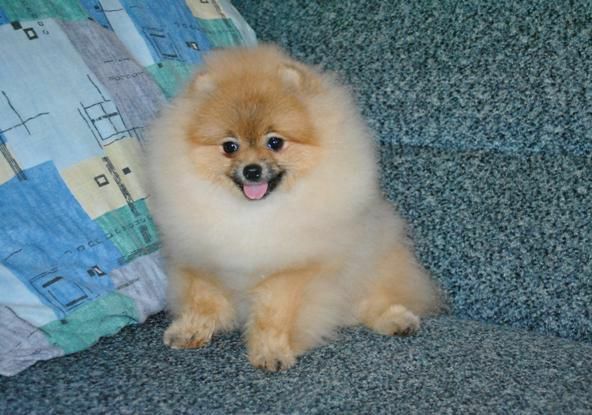 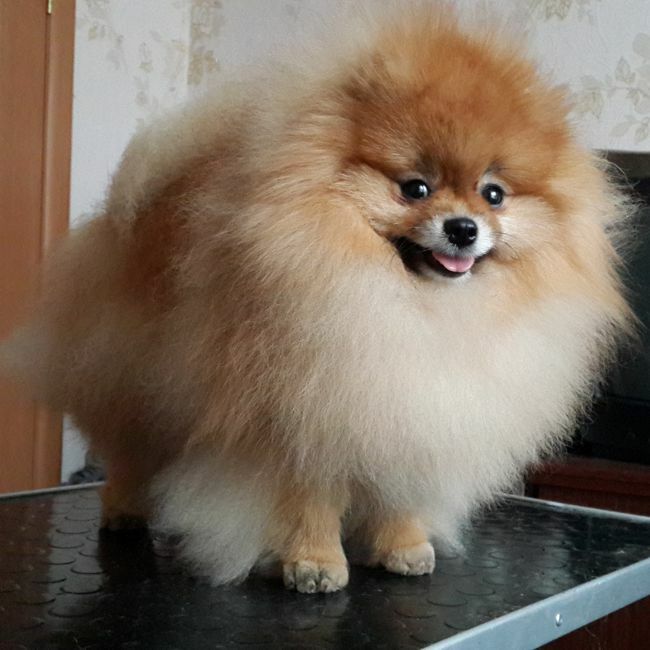 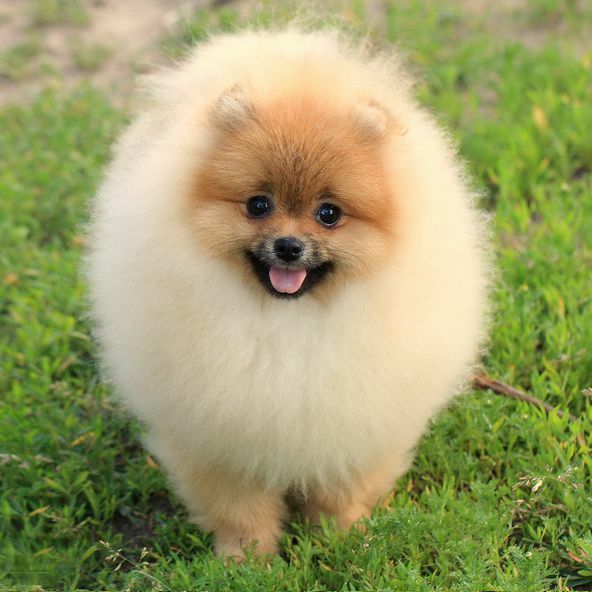 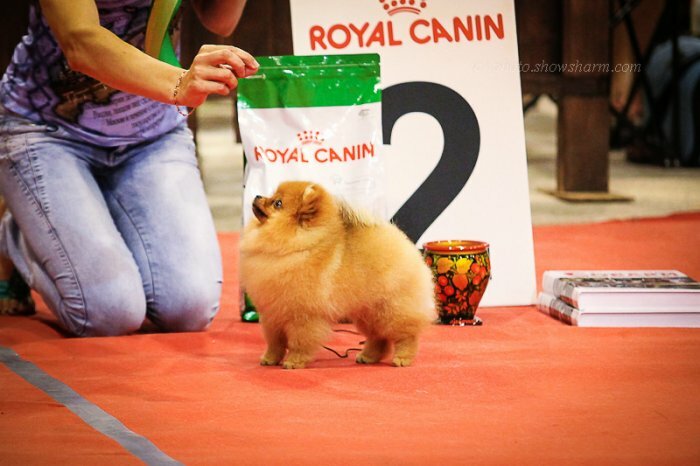 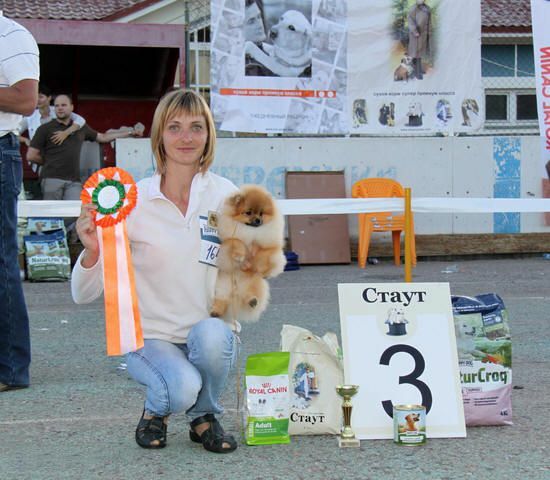 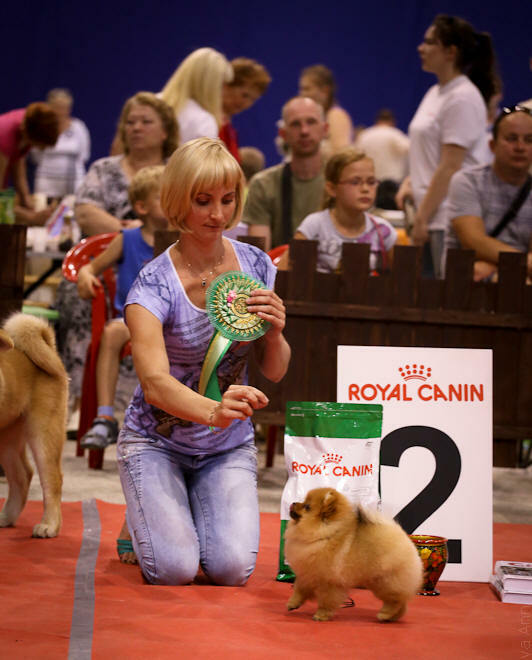 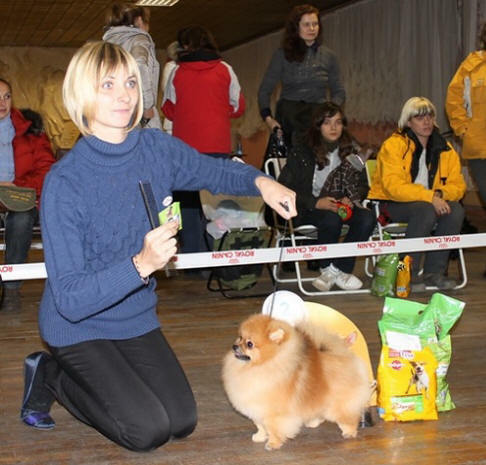 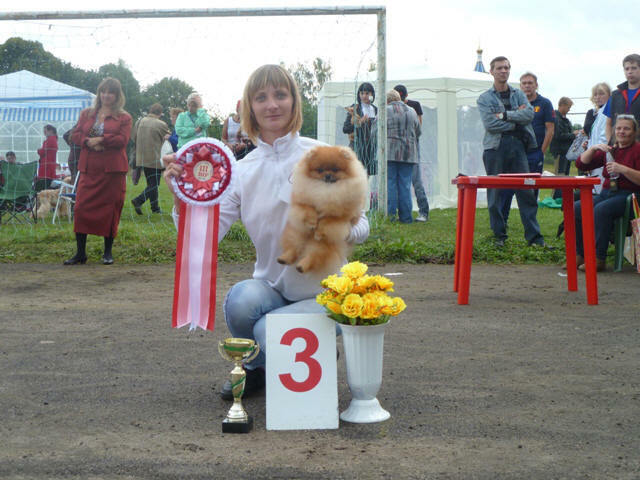 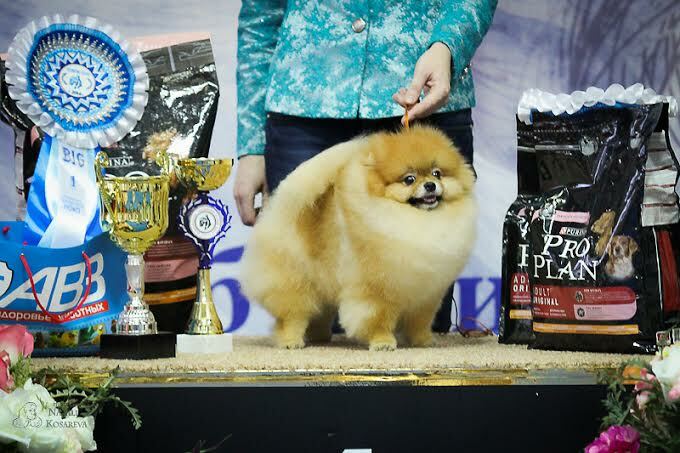 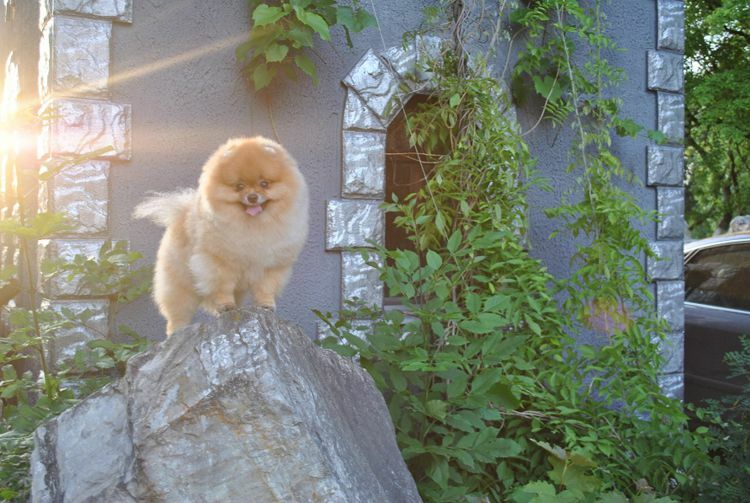 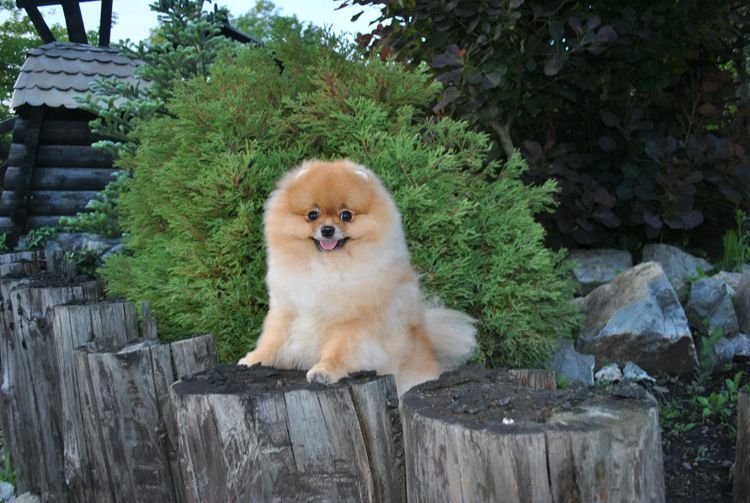 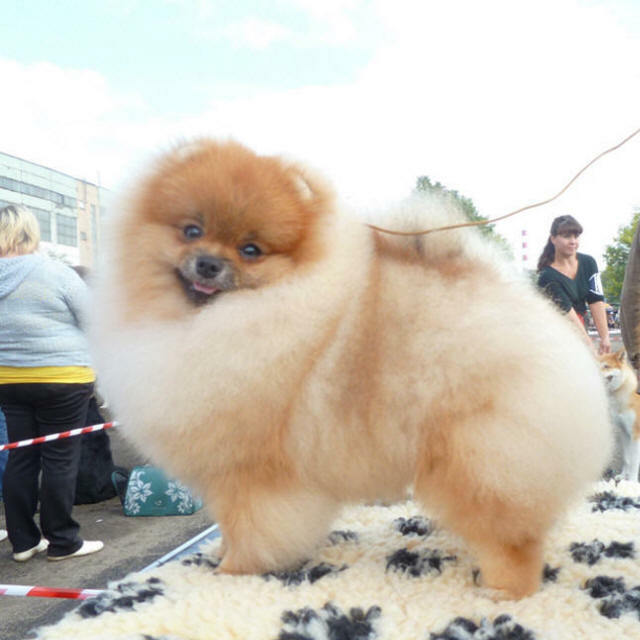 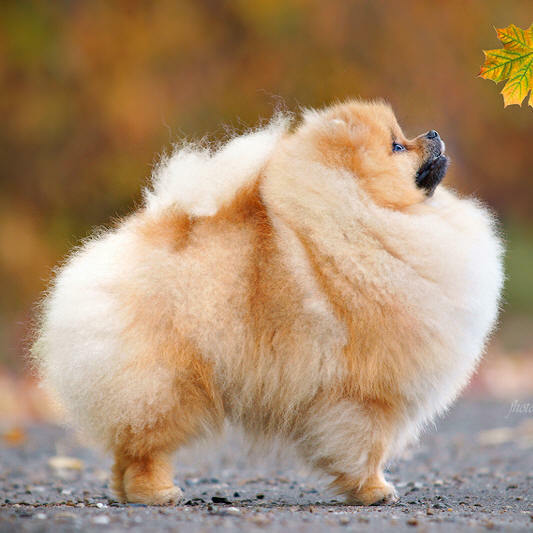 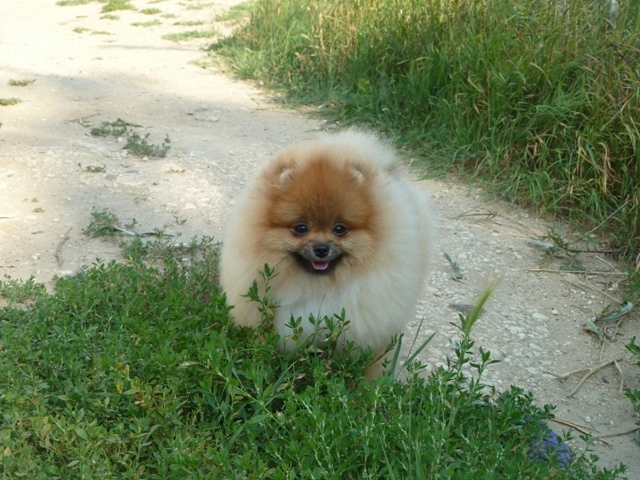 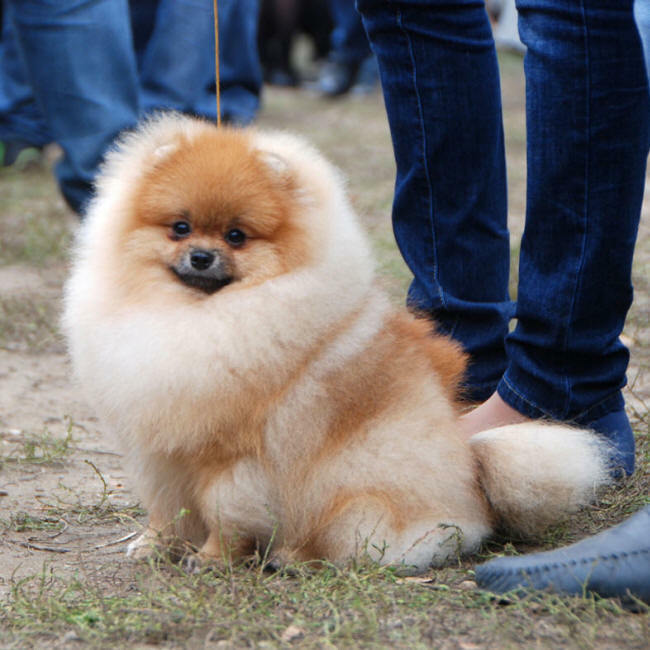 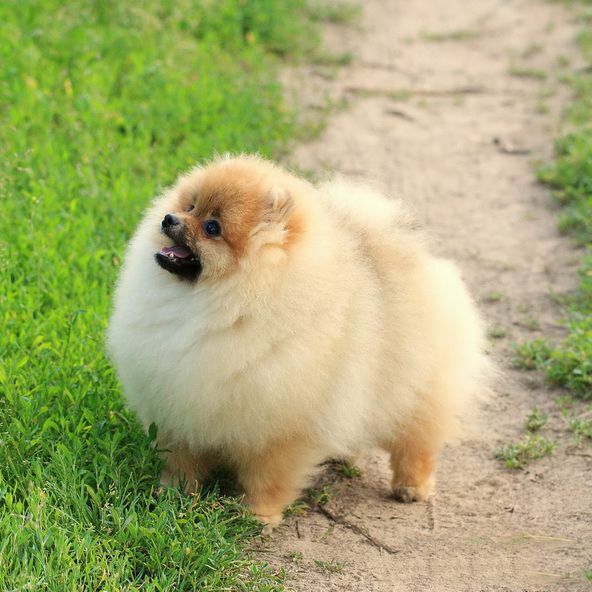 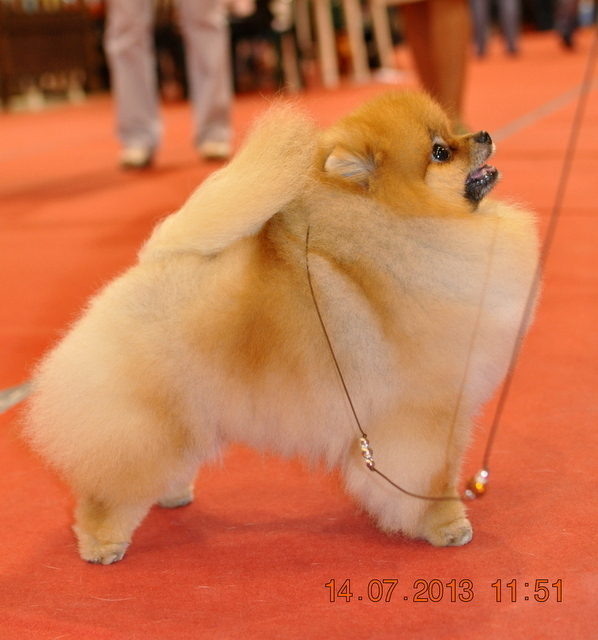 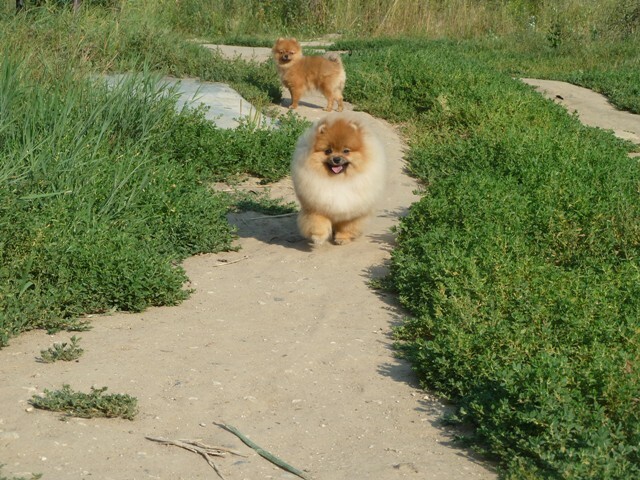 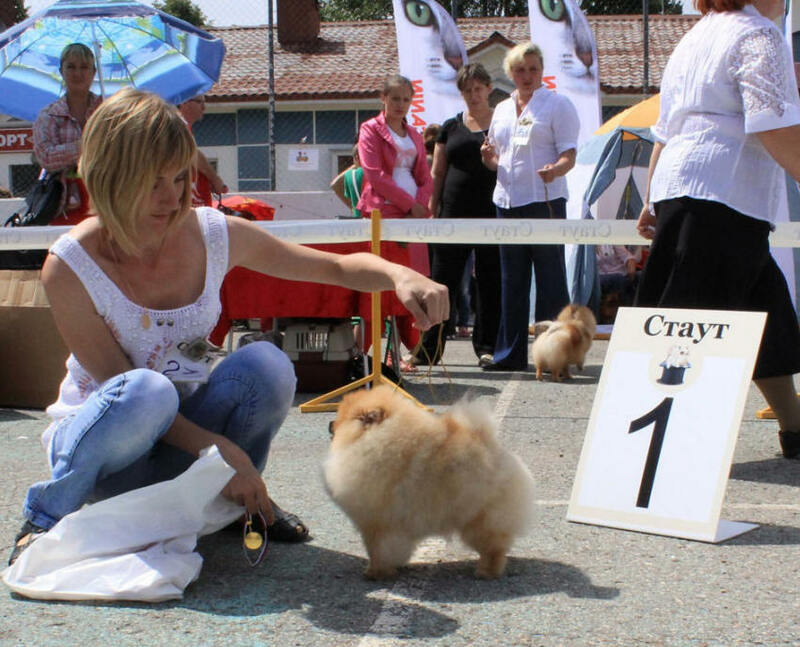 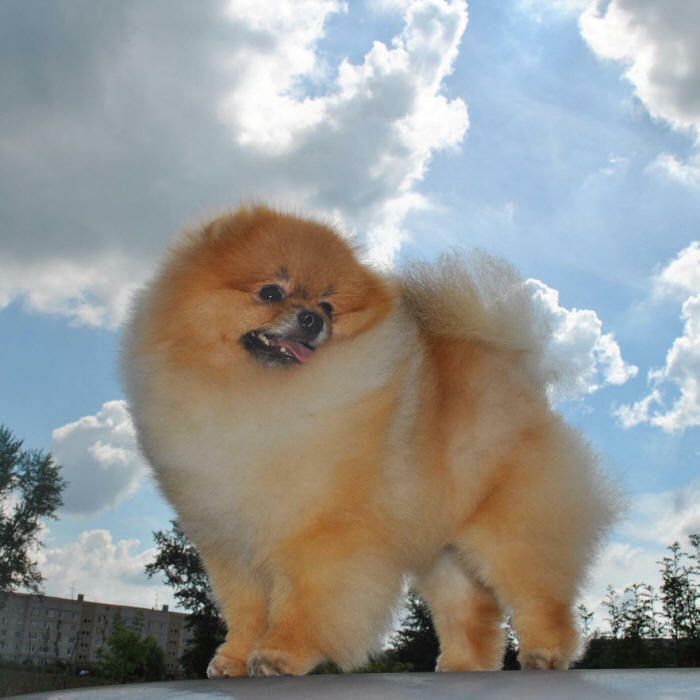 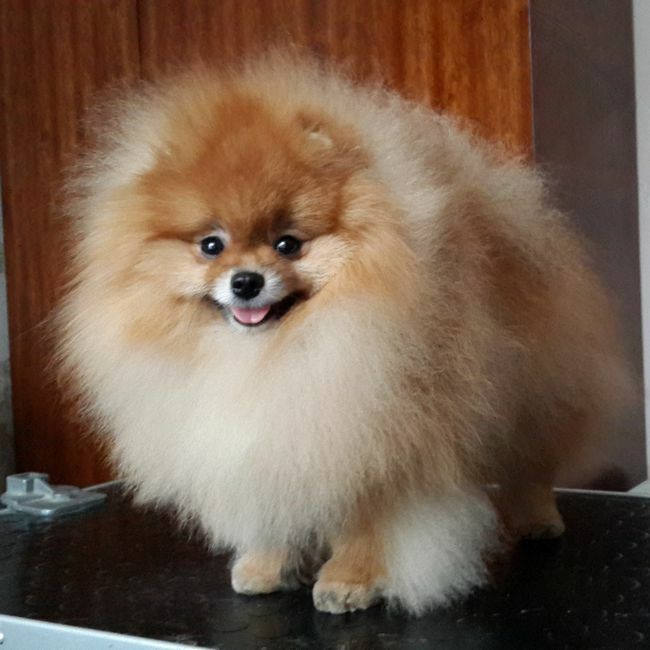 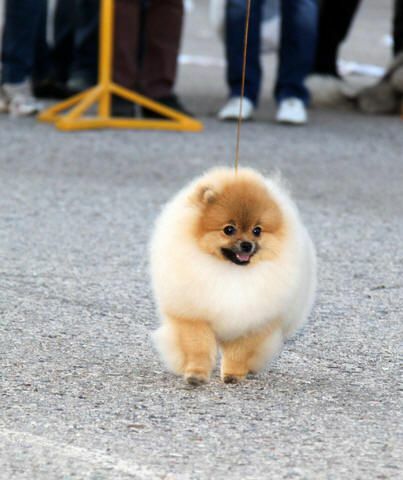 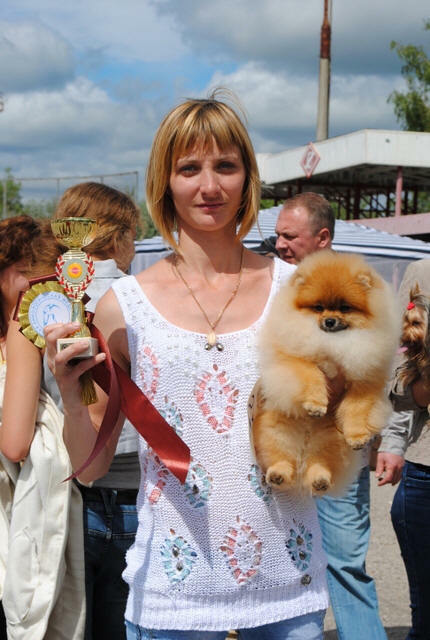 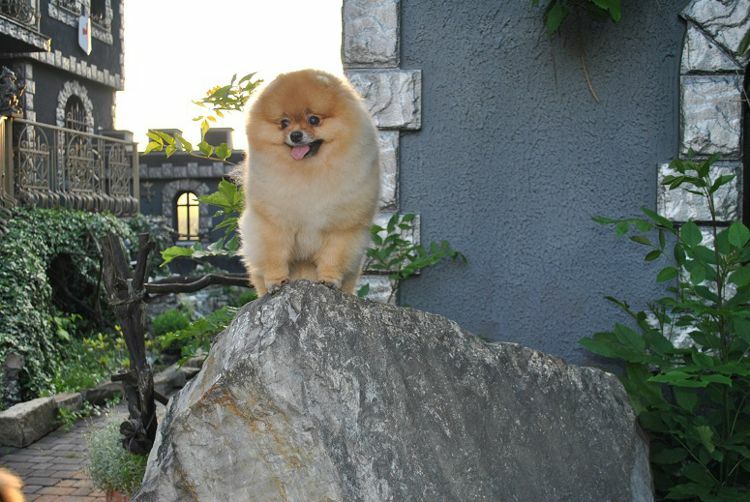 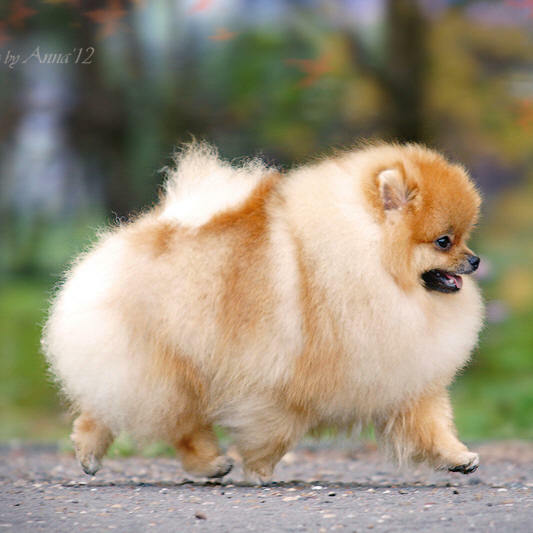 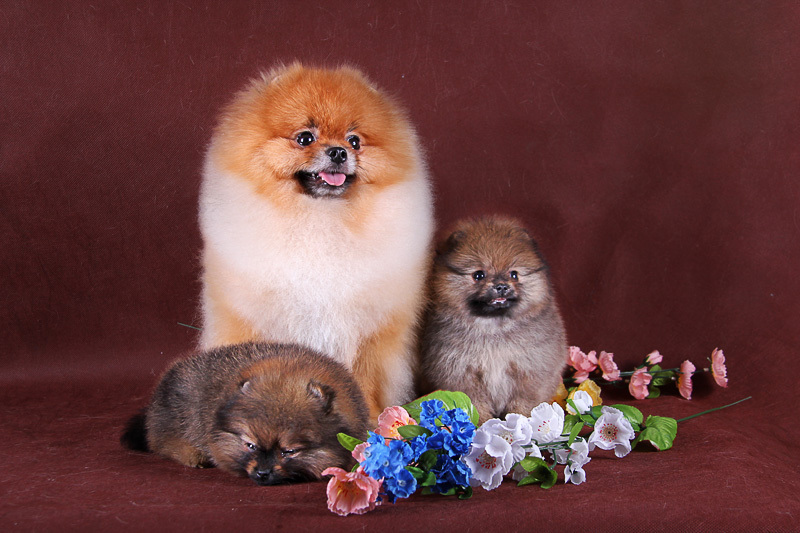 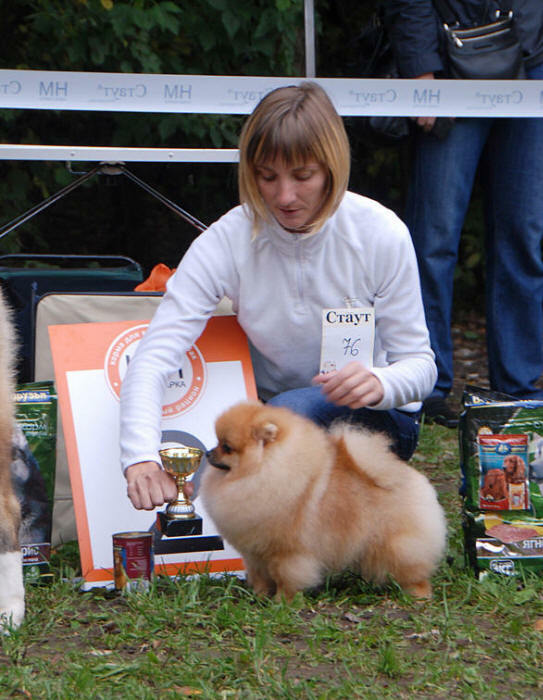 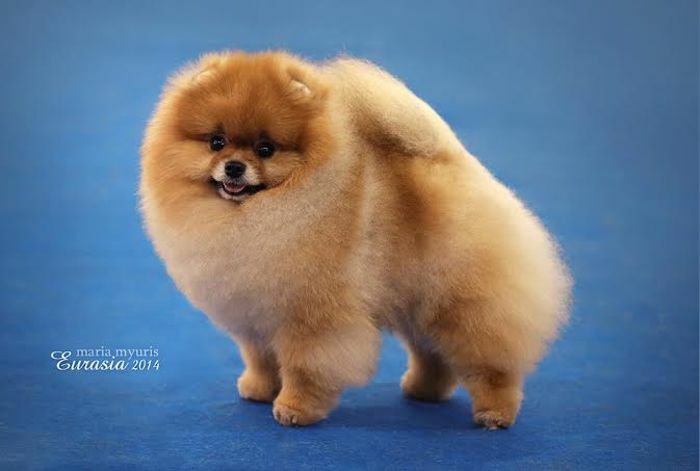 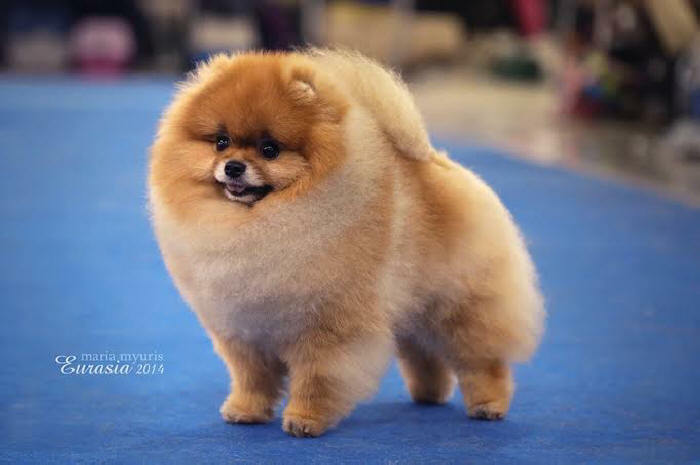 Winner of Eurasia 1- 2015 International Show, Teli defeated a large number (close to 90 males) of beautiful Pomeranian dogs. 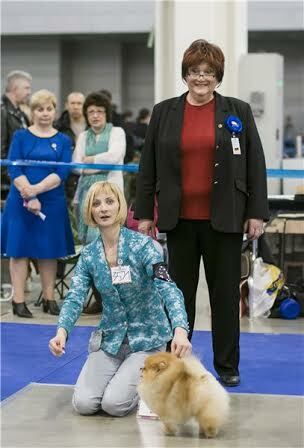 many of them Champions, under expert Judge LINDA REINELT GEBAUER of Germany where the breed originated. 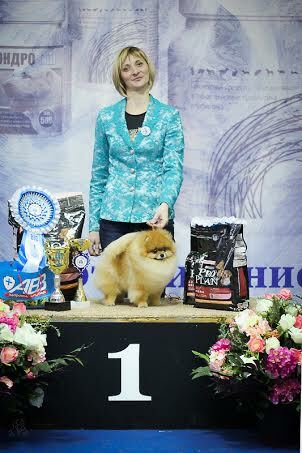 Teli received first excellent, CAC, Champion of RKF, CACIB, Champion of Eurasia. 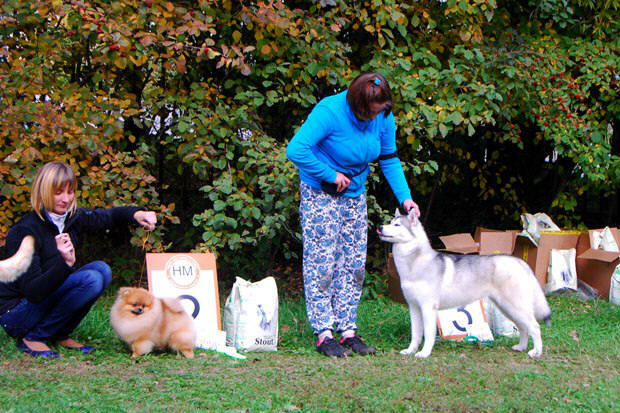 Teli's mother Heidi is a BIS winner as are both her litter mates Henri and Harry. 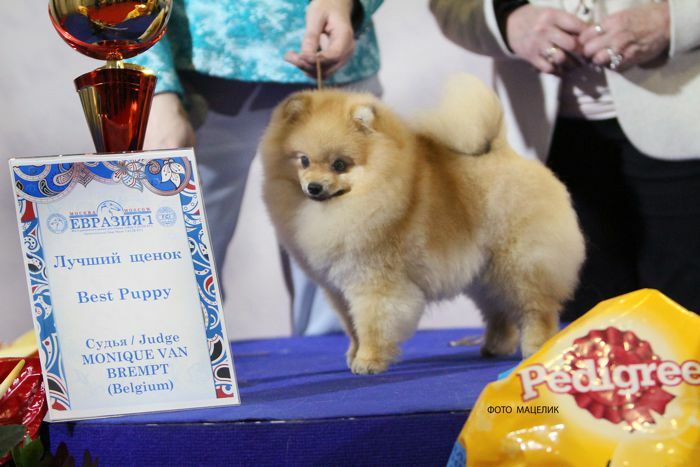 Judge was from the USA, Bo Bengtson. 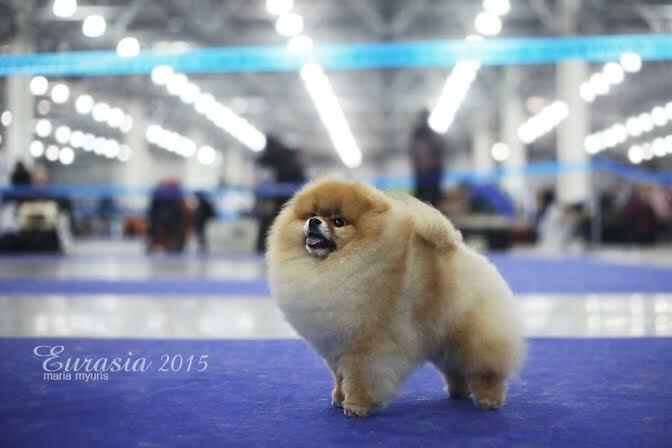 A number of Teli kids also did some great winning at this huge show in Moscow; his 7-month old son in photo below his. 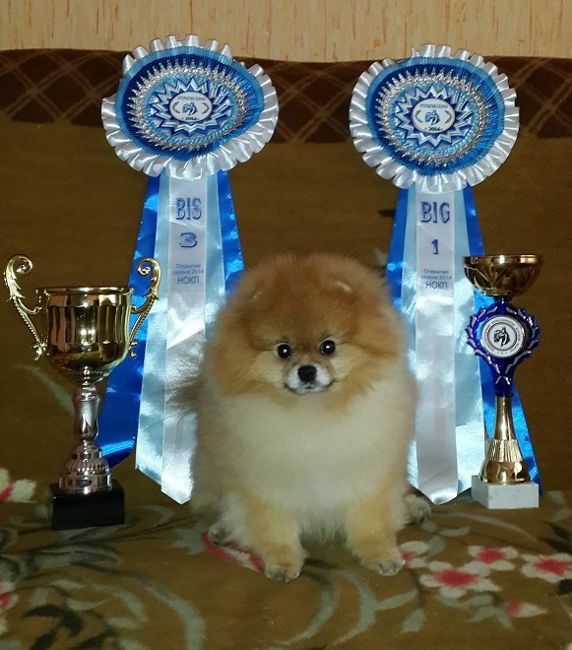 Looking very happy in his new home!